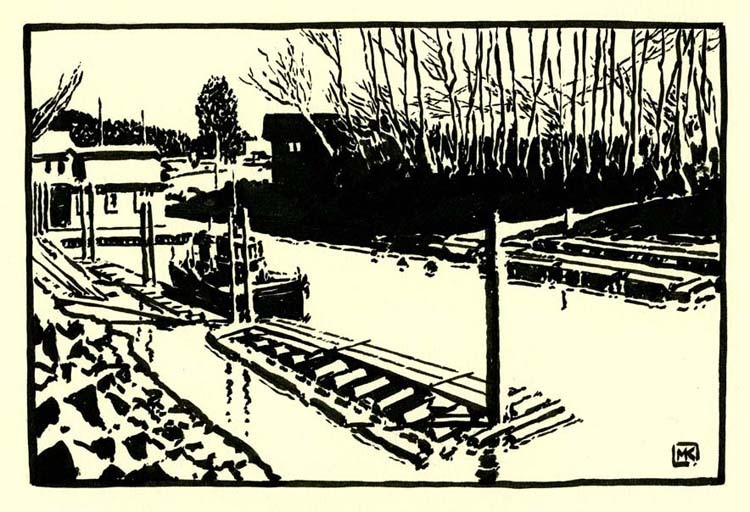 Along with every other sketcher, landscape painter and point-and-clicker in this corner of the circular globe, I've spent time at Finn Slough, at the south end of Number 4 Road in Richmond on the south arm of the Fraser River. Partly motivated by the rumours of its impending demise, we've all been captivated by its unique and picturesque quality. There is a very good historical overview of it by David Dorrington, reproduced below. 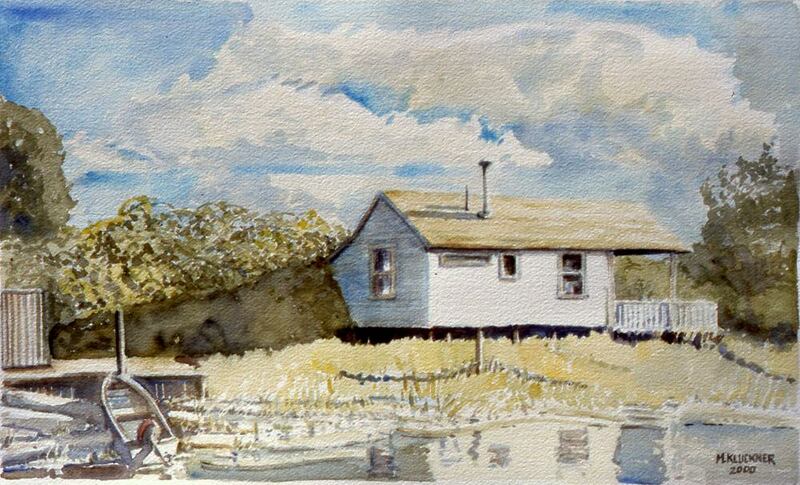 I first painted there in 1995, then again in 2000, 2002 (the image that went into the book Vanishing British Columbia) and again in 2012, 2017 and 2019 in anticipation of the annual Finn Slough Art Show. Update 2013: an article with an embedded video by Susan Lazaruk in The Province. Here is a short summary of what is happening at Finn Slough written by David Dorrington about 2002. Apparently little has changed since. I've heard that most of the residents have started using composting toilets to eliminate that environmental impact, the City of Richmond is unwilling to entertain development proposals from the owner, the owner is quietly hanging in there, and the tenants are going about their business equally quietly. It certainly looked little changed to me in 2012, a decade after I had last been there. Almost all the issues that have generated controversy about Finn Slough are rooted far back in its history. The first instance would be the cutting off of river access to the Finn community on Finn Road in 1900. 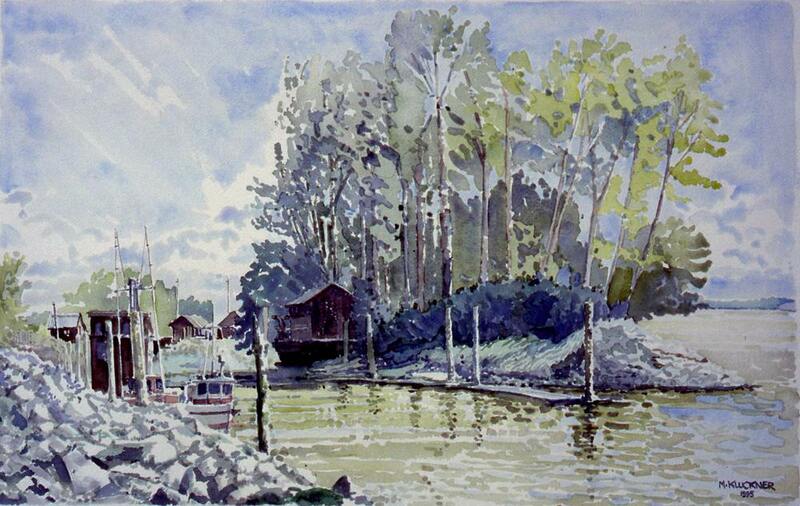 This action by the Dyking Commission and Thomas Kidd led to the creation of the fishing village at Finn Slough. In 1912 the City of Richmond tried to expropriate part of Mike Jacobson's land for a road without giving any compensation. This led to a court case that Mr Jacobson won even though he could speak no english. In 1918 the Canadian government declared Finnish to be an "enemy language". Events like these led the Finn community to delay assimilation with the larger community and to distrust it. The growth of the Village was influenced by the need of the Finn community to stick together. When communities and property are situated beside a river, especially one as big as the Fraser, complications arise. Rivers have a tendency to move their banks and this means that surveys and property lines do not always describe the reality of a situation. Over time the Fraser River has moved and the big floods at the turn of the century and in 1948 removed almost all of Whitworth Island from the map. Riparian (riverside) property owners are careful not to alter old surveys if the river has moved and the sucession of owners of "Whitworth Island" have not altered the survey since 1913 when it was still a 35 acre farm. This has led to the legal fiction that a property has been changing hands since 1913 even though it does not exist. The actual lack of its existence had unfortunate consequences when the Agricultural Land Reserve was created. Because it was not visible on any current map (it is underwater) a large section of "Whitworth Island" was not included in the ALR. So there is a piece of potential riverside property that is not in the ALR if it could be reclaimed. 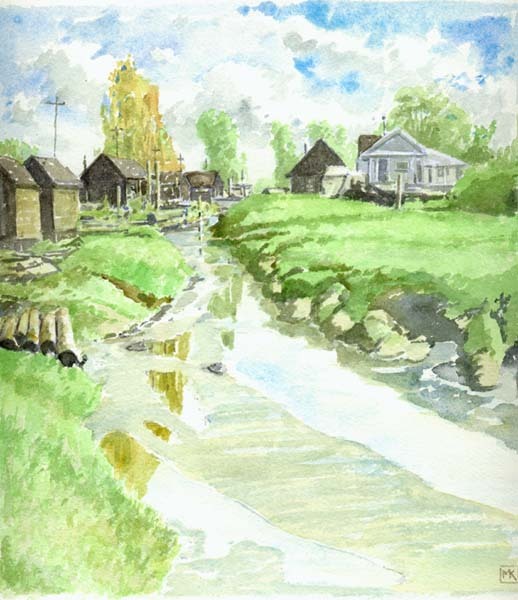 The Finns had been quietly living and working at Finn Slough with only occasional problems with the City of Richmond and for most of the century it was just too remote and too rural for anyone to be bothered with it. This all changed when the title and survey (which is on a piece of vellum 6" X 8") were bought in 1989 by Stephen Thomas Smith of Aurora, Toronto. 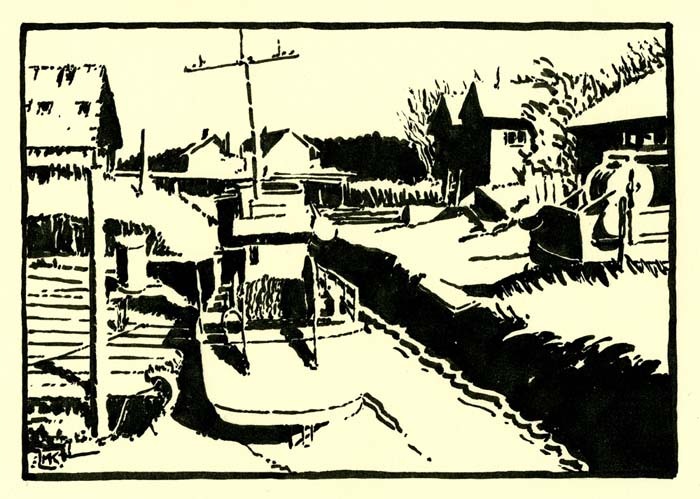 He announced his ownership in 1993 by trying to evict the residents of Finn Slough who are mostly on crown tidal land adjacent to "Whitworth Island". His failure to achieve his objective led him to get the Fraser Port Authority involved. The Port Authority had also forgotten about this area and they had to hastily apply for a lease from the Province to assert their jurisdiction over Finn Slough. The Fraser Port in its various incarnations over the years has not been a friend to fishermen. Its mandate has been more to represent the interests of mill owners and shipping companies; fishing boats tend to get in the way. 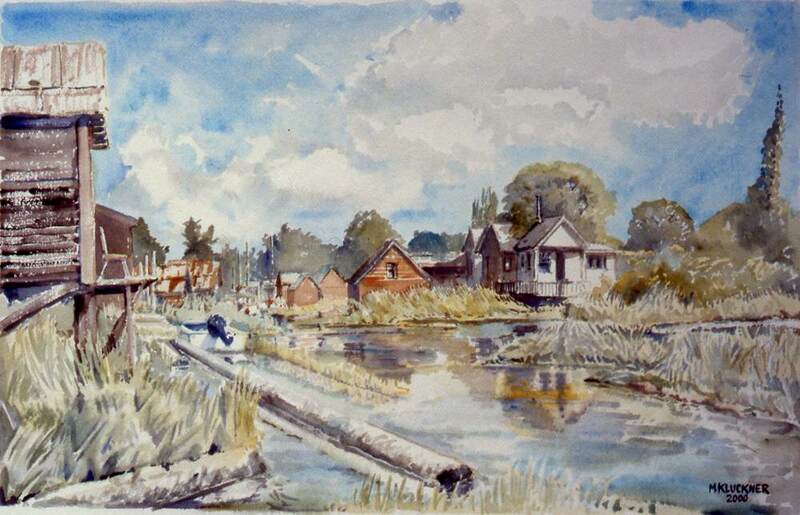 The Fraser Port tried to arrange an agreement between Smith and Finn Slough but appeared to be biased towards Smith and antagonistic to the aims of preserving the Village. Those negotiations cost the community about $100,000 in legal expenses before they failed. One of the very old peculiarities of riparian law is that a "landowner" has the right of access to his property from any point on the river and if a structure is placed in the way of that hypothetical access then the landowner can ask for it to be removed. This means that the Fraser Port refuses to give the community a lease without Smith's permission even though the community predates the Fraser Port itself and is on crown land. Smith eventually refused that permission and is now able to sit back and let the Fraser Port pay for most of his side of the resulting legal battle which is still in its preliminary stages. It would appear that Smith does not have much chance of getting the "island" rezoned or of developing it himself and so his insistence on the destruction of the Village is questionable. Another legal peculiarity is that under the old English law, which Canadians inherited, anyone using land without permission for a certain period of time before 1976 acquires rights to that land and that law applies to this situation. However the legal costs of proving that case will be enormous, more than the purchase value of the "island". The Province which has ultimate jurisdiction here could step in and save this Village at no cost to itself. The Village has been ready to make an agreement for 7 years now and recognizes and wants to preserve the heritage and ecological values of the area. 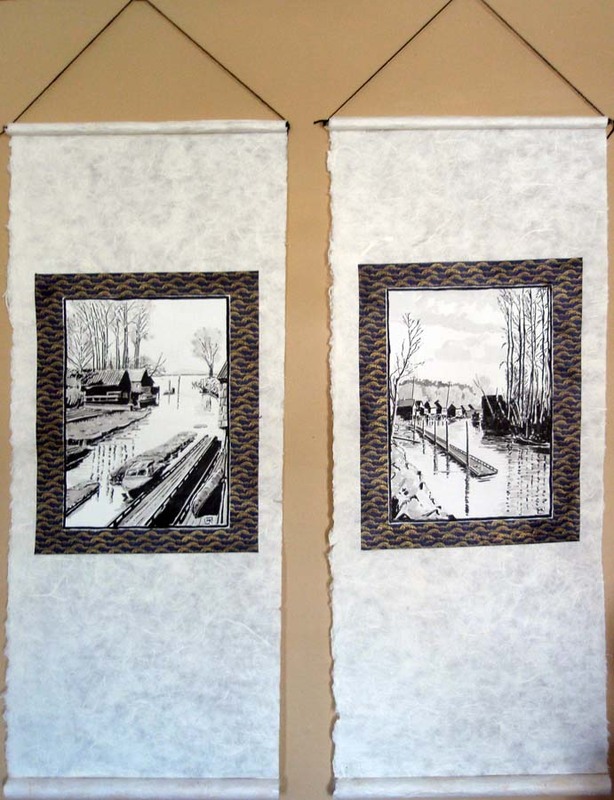 David Dorrington can be reached at (604) 878 FINN (very slow) E-MAIL: tidetables@hotmail.com or website. See the Richmond Heritage Inventory Evaluation Worksheet for further information.